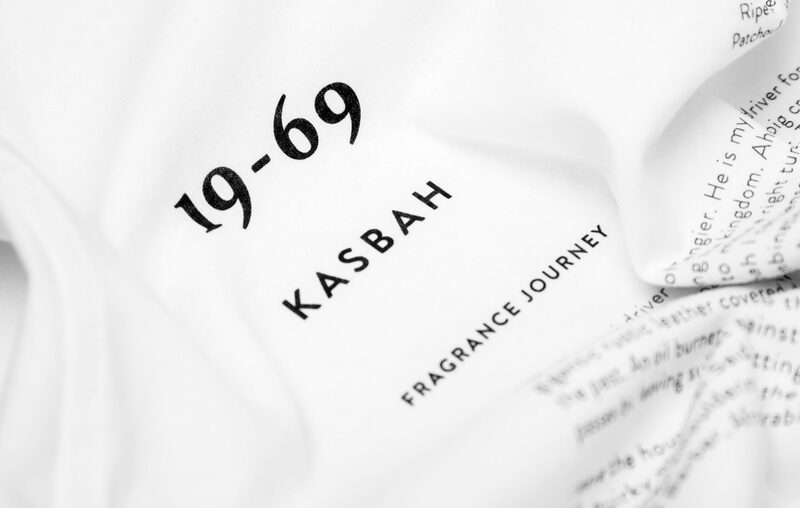 T-shirt featuring the fragrance journey of 19-69 Kasbah. 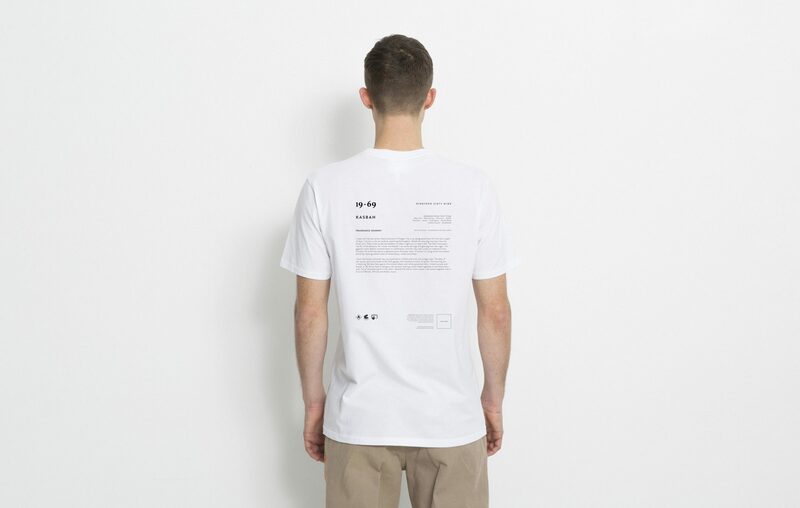 T-shirt has baseball stitchings and screen print in black, back and front. I meet with the taxi driver Said at the port of Tangier. He is my designated driver for the next couple of days. I am on a cultural roadtrip, exploring the kingdom. Ahead of every big crossing I toss the diram coin. That´s how we decide whether to make a right turn or take a left. The Atlas mountains rise far in the distance. As I enter the Kasbah I can sense the logs still glowing from last night. The gigantic rustic leather covered doors in combination with the clay walls create an ambience from the past. An oil burner leaves a pleasant scent of woody notes. A woman in a long white linen kaftan passes by, leaving subtile notes of white honey, vanilla and amber.